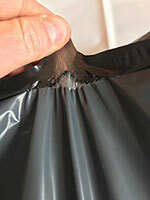 Our best selling polythene mailing bag! Grey mailing bags manufactured in our special blend of recycled and virgin polythene film. These grey mailing bags are plain with no print and come in a range of standard thickness from 45 to 60 micron. Grey on the outside and black on the inside to conceal your item and very strong with great tear and puncture resistance. With a unique grade of hot melt glue used for sealing the mailing bags, once they are sealed, the polythene will have to be torn or cut. 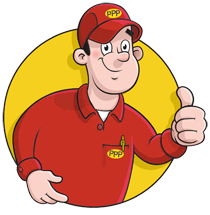 Mailing Bags can be addressed with marker pen and accept various self adhesive labels or stamps. If you would like a quotation for Grey Mailing Bags designed to your own specification, with or without printing, then please Get In Touch. Our stock grey mailing bags are our biggest range of bags and our most popular. With the biggest selection of sizes in the UK on Grey Mailing Bags, you can be assureed that you will find a size to suit your requirements. If you are looking to buy the cheapest mailing bags that do the..